Bill Stone checking out the Mk4 rebreather before diving the Huautla resurgence. Photo by U. S. Deep Caving Team/Barbara am Ende. 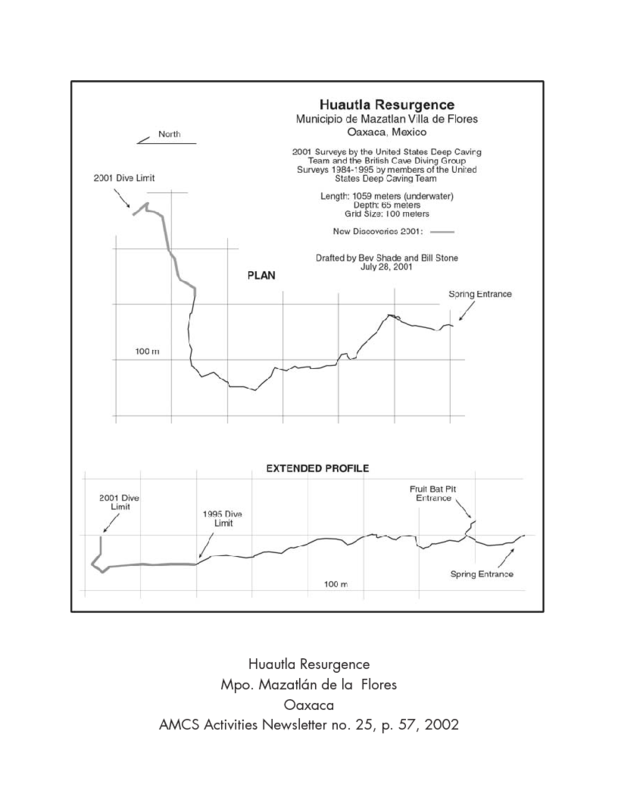 A line plot of the Huautla resurgence as of the 2001 expedition.